Whether you are moving to a new home, or want your home to look like new again, Regency Sunshine Coast can have your tiled floor surfaces looking like new again without the need for re-grouting by removing the build-up of dirt and grime, making sure your home is clean and bacteria free. 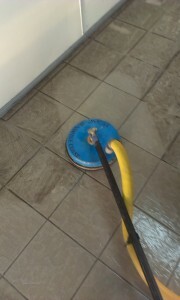 Anyone who has ever tried to clean large areas of tiles will agree that it is very difficult and time consuming to clean tiles and grout effectively. Using specialized high powered machines along with effective degreasers, pressure and heat to give your tiles and grout a deep thorough penetrating clean removing years of dirt and grime build up.